or get your tickets on the door . Cajunbarn supports live music: all door receipts go to the bands . Grammy winning traditional Cajun French music from Southwest Louisiana. Jesse, Joel and Kelli create music full of spontaneity and joy. 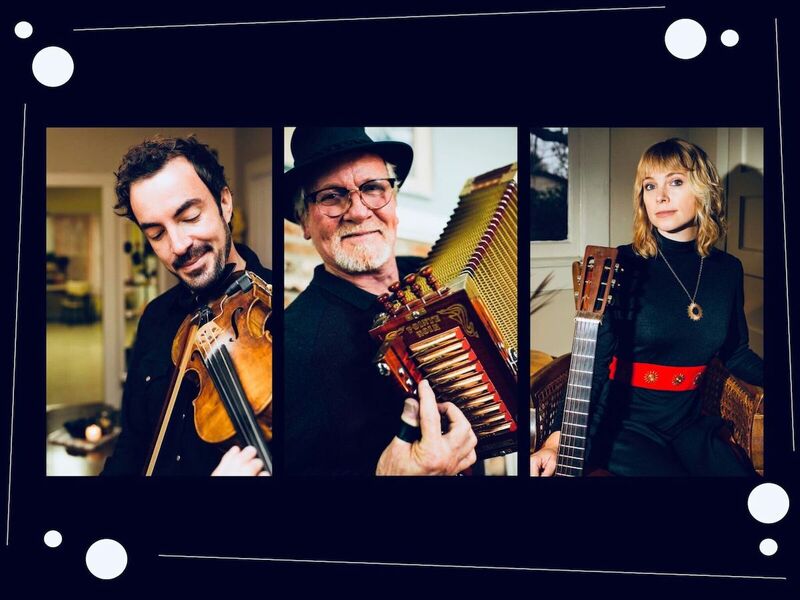 Together, they play traditional Cajun French music from the prairies of Southwest Louisiana where all the generations come together nightly to celebrate their vibrant culture by dancing, socializing and having a good time. Jesse Lége is the real deal. Growing up in a rural, pre-electricity home near Gueydan, Louisiana, Jesse spoke Cajun French and learned music from relatives, neighbors and the family's much-loved battery-powered radio. Today he is one of the most admired Cajun accordionists and vocalists in the world, known especially for his clear, “crying” vocals. In 1998 he was inducted into the Cajun Music Hall of Fame. Kelli started fiddling at 15 and has been playing fiddle and guitar with the best Cajun bands since 2006. Kelli plays fiddle and guitar in the progressive Cajun band Feufollet and is a prolific songwriter in both English and Cajun French. She plays Country, Old Time and Cajun and her bewitching, melodic grace adds a special dimension to those beautiful contemporary and old tunes.